The Physiotherapy Practice Ltd will be holding a stall at this year’s Great Bentley Show. It would be great to see and chat to anyone who would like to know more about Physiotherapy and The Physiotherapy Practice Ltd. Please feel free to come and see us to find out whether we can help you. Nicola, Karen and Fiona all attended the annual AACP conference on Saturday 19th May 2018. The conference was a great update on current research and acupuncture techniques. We all learnt something new to bring back to our practise and how we use acupuncture within our physiotherapy treatment. If you are interested in finding out if acupuncture could help you, please get in touch. The National Institute for Health and Clinical Excellence (NICE) have recently published their draft guidelines on managing Rheumatoid Arthritis (RA) in adults. NICE recommends that people with Rheumatoid Arthritis should have access to specialist physiotherapy to help manage their condition and improve their fitness, flexibility and strength. More specifically adults with RA affecting the joints of their hands or wrists should consider a tailored strengthening and stretching hand exercise programme if they are not on a drug regimen or they have been on a stable drug regimen for RA for at least 3 months. Our Clinical Director Nicola along with her husband Chris stomped, and staggered in places, their way through rugged and very muddy Scottish terrain to complete the silver challenge (36 miles). Sarah, their daughter, was aiming for gold and successfully accomplished all 54 miles. Much of the yomp was in drizzle, then rain and the later stages in the dark! This years’ fund raising deadline was the end of September and collectively the Betts family raised £1,340. Nicola would personally like to thank all the patients and staff at the practice who kindly sponsored her. Your encouragement and support definitely helped to motivate them. Start training at least 12 weeks in advance. Socks also need breaking in- don’t do long walks in brand new socks! Cross train on non-walking days to improve strength, balance & control and cardiovascular fitness e.g. swim, cycle, yoga and Pilates. This will also help preserve your bruised and sore feet! Seek professional help of a Physiotherapist if getting muscular/joint aches or pain during training sessions. A Physiotherapist will be able to give advice about personal training programmes specific to you and, from in depth biomechanical assessment, will devise treatment and exercise plans to help resolve and prevent problems. A HCPC registered podiatrist can help you with foot related problems too. Falling on to an outstretched hand can often result in either a wrist fracture or soft tissue injury. If you sustain a fall and have pain, swelling or a deformity of the wrist go to A&E for an X-ray. In the event that a fracture is sustained the wrist will usually be placed in a cast to heal for approximately 6-8 weeks. More complicated fractures may need to be manipulated back into good alignment or fixed surgically. Whilst in the cast it is useful to keep the fingers, thumb, elbow and shoulder moving with simple exercises. After the cast is removed the wrist and hand can feel stiff and weak. Physiotherapists can advise you on exercises to improve the movement, strength and function in your wrist and hand. They may also use hands on treatment to reduce stiffness and pain. Rest – stop the activity that caused the injury and rest the affected joint or muscle. Avoid activity for the first 48 to 72 hours after injuring yourself. Ice – for the first 48 to 72 hours after the injury; apply ice wrapped in a damp towel to the injured area for 15 to 20 minutes every two to three hours during the day. Compression – compress or bandage the injured area to limit any swelling and movement that could damage it further. You can use a simple elastic bandage or an elasticated tubular bandage available from a pharmacy. It should be wrapped snuggly around the affected area, but not so tightly that it restricts blood flow. Remove the bandage before you go to sleep. Elevation – keep the injured area raised and supported on a pillow to help reduce swelling. It is important to start moving the wrist as soon as possible. Simple analgesia e.g. paracetamol should help to ease the pain but see you GP if this is not helping. In most cases a soft tissue injury should heal in 6-8 weeks. Physiotherapy can help by carrying out a thorough assessment and providing exercises and treatment to aid your recovery. It’s not too late to start or build on pre skiing/boarding training before you hit the slopes. Sport specific training has been shown to improve performance and prevent injury. Performing exercises daily 6 to 8 weeks before you go is ideal, but it’s not too late to do something….unless you’re in the mountains for Christmas! Exercises can be performed at home and in the gym. Cycling too will help strengthen your legs however, other task specific exercises should also be included. A personal assessment with a physiotherapist, with knowledge of snow sports, will allow training to be modified to your specific needs. We look for weakness, tightness and for overall balance in muscle groups on both sides of your body. Your therapist will also look at agility and functional sport specific movement patterns. We can guide you on remedial exercises specifically for you as well as particular training for your level of sport. With the firework period approaching, physiotherapists are mindful of the load on necks and backs from standing still and looking skywards for a sustained period of time. The human head weighs on average 4 ½ kg and is held in position on the neck by a balanced muscle to bone system known as Tensegrity. With injury to the body normal Tensegrity can be disturbed resulting in dysfunction and pain. Holding the head to look skywards is a close pack position of the neck that can load and irritate the spinal joints if sustained for too long. 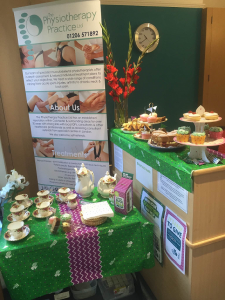 On the 30th September The Physiotherapy Practice held a Macmillan coffee morning. It was a great success and we would like to say a big thanks to everyone who attended, in particular the employees of Kwik Fitand The Hair Station. Thanks to Café 59 for their yummy cake donation and to Stylishly Simply Weddings for providing the gorgeous vintage tea set! Together we raised £132, so many thanks and we look forward to running another one next year! Those that care for dementia patients may form just part of the 7 million unpaid carers in the UK. These are people who provide care and support to an ailing or disabled family member, friend or neighbour on an ongoing basis. They represent an unpaid and often invisible workforce that saves the Government a staggering £119 billion every year – more than the Government’s entire annual NHS expenditure. Carers are often exposed to higher than usual levels of physical and emotional stress which puts their own health at risk. Many carers help the person they care for with physical tasks, such as getting in and out of the bed, bath or chairs. In addition to this, the role of carer, especially when caring for a spouse or close family member, can create unique emotional stresses. 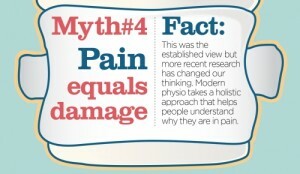 Emotional stress is a risk factor for developing persistent pain. Over 70% the UK’s unpaid carers now suffer from back pain, and are at greater risk of developing chronic pain, which is highly disabling in a third of cases and life-long for the majority. The national back pain charity, BackCare is working to help the UK carers with this year’s BackCare Awareness Week (3rd – 8th of Oct 2016). One of our Receptionists, Jo Nicholas, took part in a Memory Walk in aid of the Alzheimer’s Society on Sunday 2nd October 2016. The Alzheimer’s Society is a great charity putting money into research to alleviate the potentially devastating effects of this disease. Dementia is a syndrome caused by disease of the brain, usually of a chronic or progressive nature. It is responsible for disturbances of multiple higher cortical functions, including memory, thinking, orientation, comprehension, calculation, learning capacity and judgement. (WHO 1992). There are many different types of dementia with Alzheimer and vascular dementia being the most common. 750,000 people in the UK live with dementia with up to 1:4 hospital beds at any one time being occupied by a person with dementia over 65 years old. We can assess the person with dementia to highlight any physical limitations and develop an exercise programme to optimise their mobility and strength, liasing with carers as appropriate as to the best way to achieve this. Physiotherapy led exercise has been shown to have a positive effect on the behavioural and psychological effects of dementia, improving cognitive functioning and mood with a reduced need for medication. Physiotherapy can also work in a preventative capacity by using exercise to help arrest functional and mental decline. Often people with dementia have co existing medical problems such as cardiovascular disease, diabetes and osteoporosis and exercise can help with these. Falls are another risk factor and we can help with strength and balance exercises. Patients with dementia often have difficulties reporting pain and we can advise their carers identify signs to look out for and the best positions to alleviate any pain. Carers of people with dementia often also display poor health compared to their age matched peers. Physiotherapy can help by educating carers, encouraging them to maintain their own independence, physical and mental health and educate them on correct manual handling techniques as appropriate. The Physiotherapy Practice Ltd is pleased to announce our sponsor’s partnership with Essex Junior Squash. As part of our involvement Nikki Priestley, one of our Senior MSK Physiotherapists presented a talk to committee members and coaches of Essex Junior Squash on Sunday 4th September at Marconi Sports and Social Club, Chelmsford. This was an enjoyable and productive meeting for all and covered topics such as sports injuries seen in the young & adolescent squash player, sport specific training and injury prevention. Inspired by the Tour de France, the start of the Rio Olympics & the nice weather? Thinking of dusting of your bicycle? Or are you a keen cyclist preparing for your next race? Cycling has many health and social benefits as a recreational or competitive activity but also as a means of transportation. However, the demands of different types of cycling can carry the potential for injury. These injuries can be categorised as traumatic (sustained from a fall or impact) or due to overuse. Physiotherapists can help in the assessment, management and prevention of overuse injuries and the CSP has some useful information on the most common injuries seen in cyclists (http://www.csp.org.uk/your-health/sports-advice/physiotherapy-cycling-injuries). For further information or to book an appointment please get in touch! Summer is finally here and Wimbledon is about to start! It is easy to see how injuries such as muscle tears in the calf can occur. A torn calf muscle commonly occurs when the player stops suddenly, then turns and accelerates quickly to reach the ball. People often report hearing a pop, followed by a sharp burning pain. A bruise develops alongside swelling and the skin can become red and warm/tender to touch. In the early treatment stages of a calf tear rest, ice, compression & elevation is recommended. 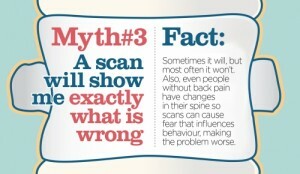 However, if symptoms persist or are severe early assessment by a Physiotherapist is recommended. They can advise on individual treatment and introduce gentle exercises to maintain flexibility and strength. Your Physiotherapist will constantly monitor and assess your ability and tailor your exercises accordingly, with the aim to restore full function and strength. Treatment and healing times of a calf injury largely depend on the severity of the injury and may also vary considerably from person to person. It is important to remember the best way to prevent/limit any injuries is to be prepared. Whether you are a seasoned tennis player or a beginner, before you start spend a few minutes warming up with a gentle jog, followed by stretching. Stretch slowly and gently, holding the stretch for approximately 30 seconds. May is national walking month and we would like to update you all on the many benefits of this simple, effective and free exercise. So, lets keep our fingers crossed for more fine weather, put on some supportive footwear and get out and WALK!